When aggregate shape and high production tonnages are vital the new Terex Finlay C-1550 leads the way. 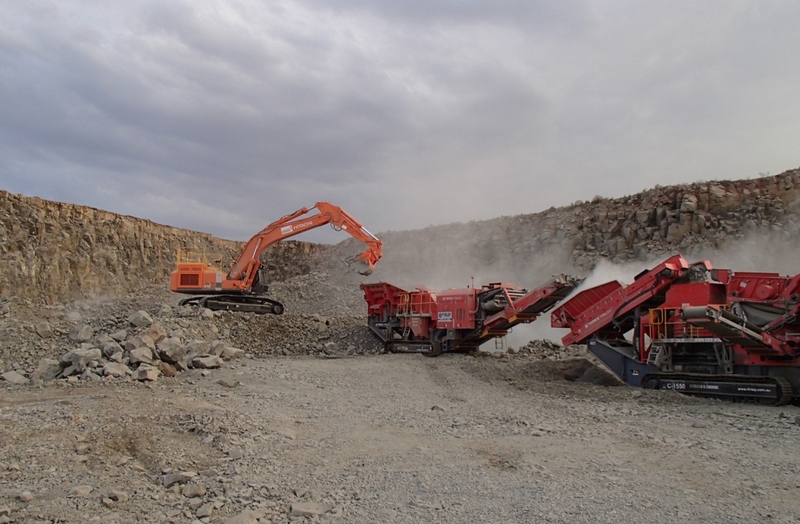 Incorporating the proven Terex® 1300 cone crusher with direct drive, variable speed control, tramp relief system and ‘on the fly’ closed side setting. The machine features an innovative pre-screen system with a single deck 8′ x 5′ screen and 1200mm belt to remove fines improving plant capacity, product flexibility and liner wear reduction. The pre-screen module can be used to produce a roadbase product from the side conveyor which can be fitted on either side. The large hopper/feeder features a metal detection and purge system to protect the cone and reduce downtime by removing metal contaminants from feed belt at the touch of a button.